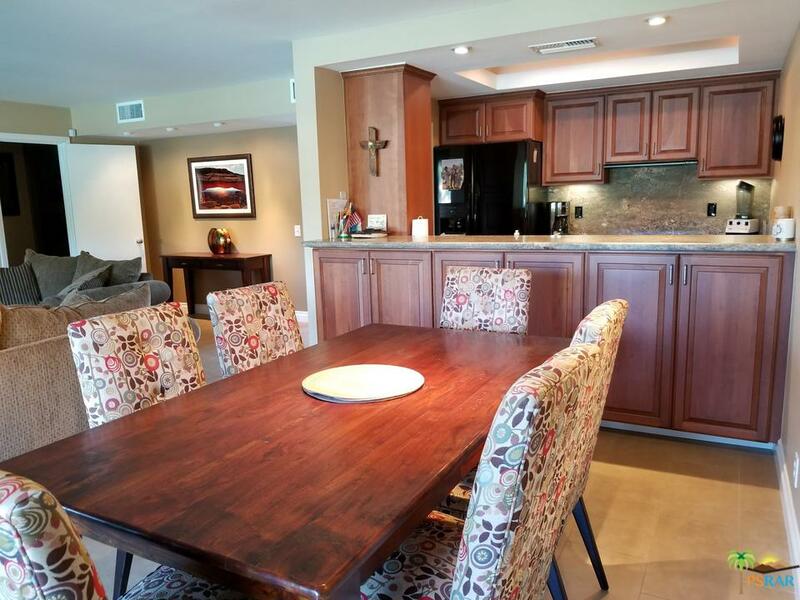 Beautiful and rare remodeled 3 bedroom/3 bath single story condo at Shadow Mountain Resort. 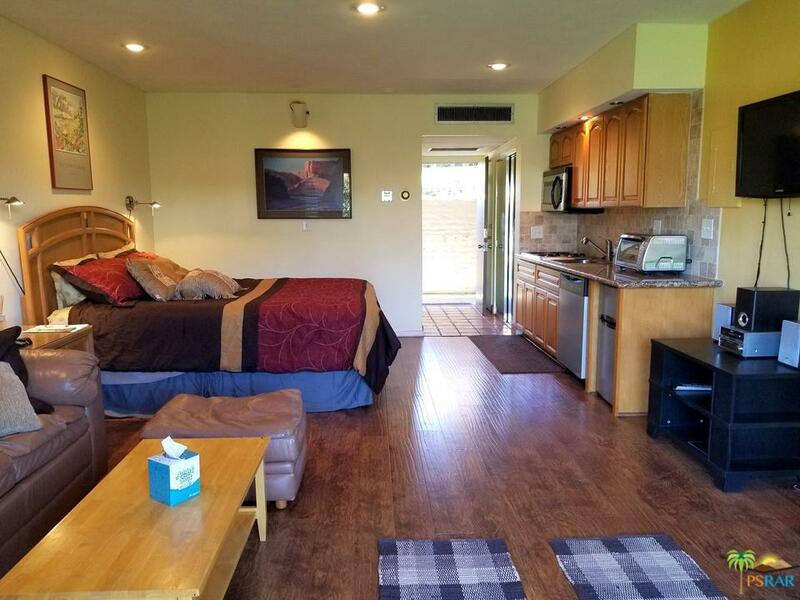 This unit features a "lock off" room (can be closed off from the rest of the condo) that has its own private entrance, bathroom, patio, kitchenette and a stackable washer/dryer. Gorgeous view of tennis courts and mountains. Furnished per inventory. 2 covered carports and ample guest parking. Quarterly HOA of $452.22/month, paid quarterly includes water, basic cable, outside maintenance, roof, trash, landscaping and maintenance of 3 HOA pools/spas. 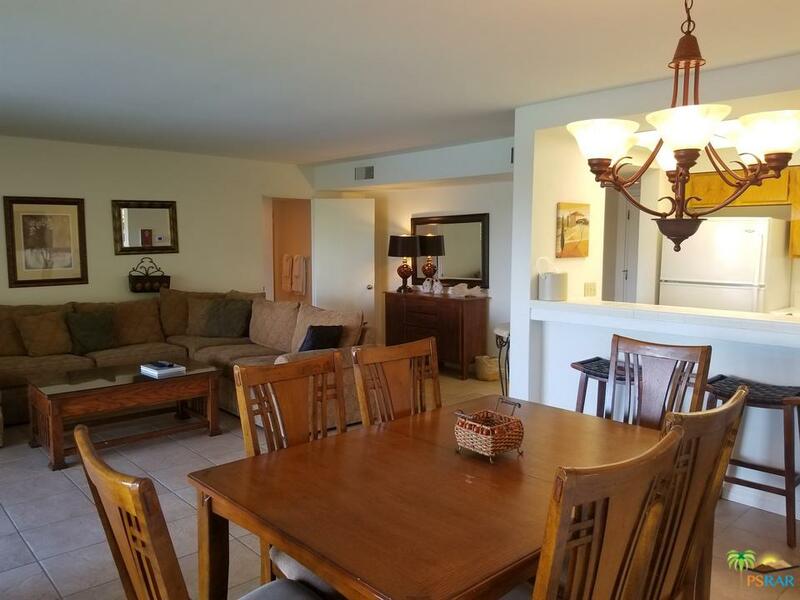 Most desireable area of South Palm Desert with nearby El Paseo for your shopping, dining and entertainment.